Biblical Inerrancy: Scripture in the original manuscripts does not contradict truth – the word of God contains no error. A week ago fifty men from our church, including myself, attended the Shepherds’ Conference. The mission of the Shepherds’ Conference is to “provide the opportunity for men in church leadership to be challenged in their commitment to biblical ministry and to find encouragement as together we seek to become more effective servants of our chief Shepherd.” This year, the mission was accomplished by highlighting a single doctrine: Biblical inerrancy. In highlighting Biblical inerrancy, John Macarthur – and the hall-of-fame lineup of keynote speakers – resurrected and affirmed the Chicago Statement on Biblical Inerrancy (CSBI), which was initiated in 1978 by the late and great James Montgomery Boice. The conference did not invent a new doctrine, but resurrected an ancient one. Statements don’t invent doctrine, they declare it. Biblical inerrancy affirms that every word of scripture is inspired by God (2 Timothy 3:16). Inerrancy declares that God is a God of truth and cannot lie (Deuteronomy 32:19); therefore, all of scripture is truth. Biblical inerrancy affirms that scripture does not contradict itself. Anything that seems contradictory is not an error of scripture, but an insufficiency in the interpreter. Scripture claims that it is sufficient for salvation (2 Timothy 3:15) and the means of sanctification (John 17:17). Jesus claimed that man should not live by bread alone, but by every word of God (Matthew 4:4). 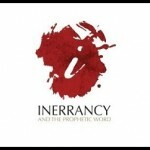 So how does the affirmation of inerrancy affect my life? 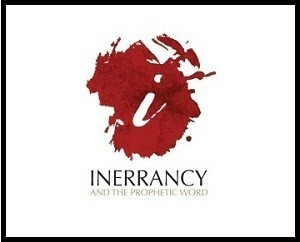 Affirming inerrancy not only means that I believe the word of God is truth, and nothing but the truth, but that I am resolved to live a life that embodies the word of God, as Christ’s life did. If not, I, like the serpent in the garden, have questioned God’s word: “Did God really say?” (Genesis 3:1). Unfortunately, all the men who led that conference promote the highly corrupt bible versions (NASB, ESV, NIV). Your understanding of bible translations is misguided. While no translation of the original manuscripts can be an exact match, the modern translations you listed are each faithful to the best of the earliest Greek and Hebrew manuscripts that are available to us today. They are more than 99% accurate to what the original authors wrote, with no variances that affect any substantive area of doctrine or biblical truth.